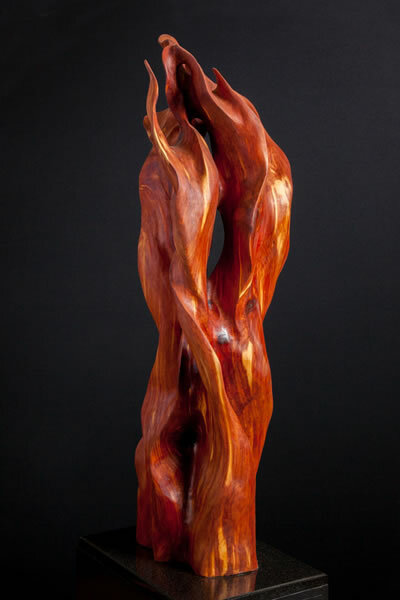 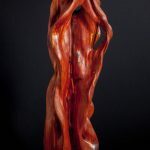 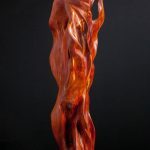 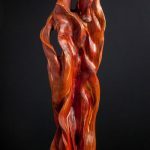 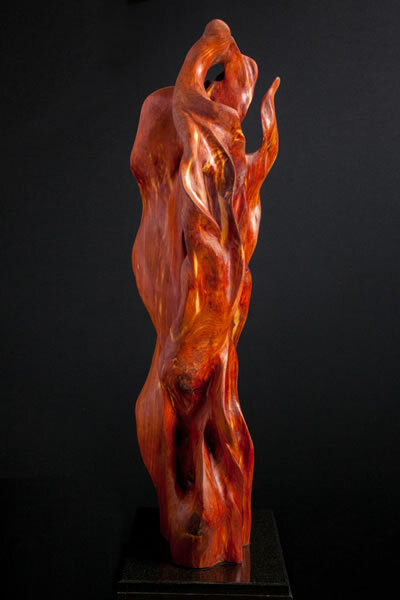 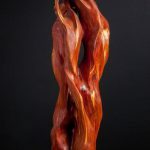 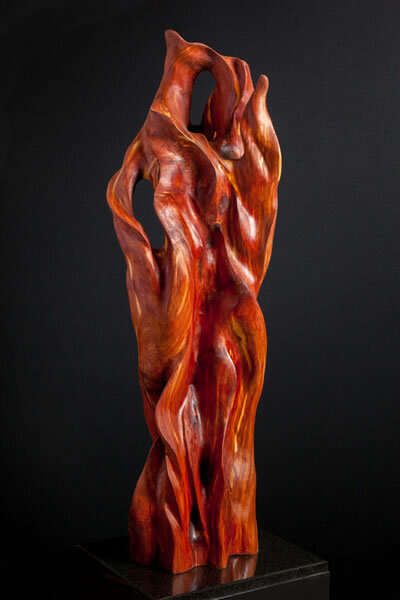 The flowing flame-like forms undulate upwards and symbolize the ascension of spirit to the Divine. 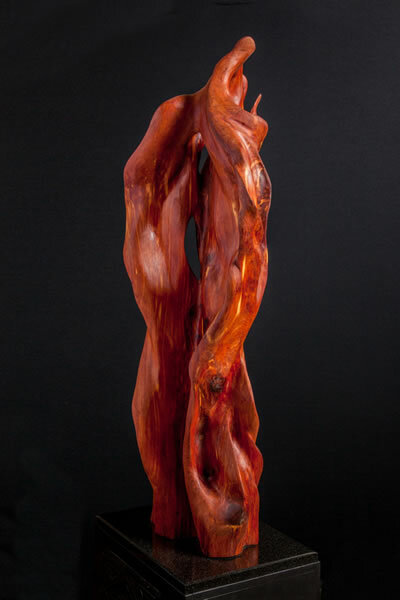 They blend and entwine like the myriad aspects of the Soul. 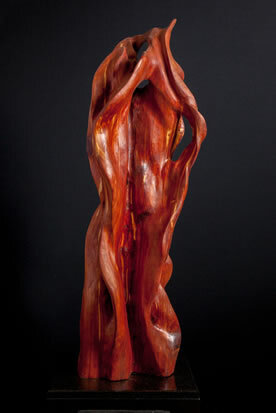 This sculpture has been carved from a locally found Red Cedar Log and is 44” in height and 14” in diameter.